Our family LOVES a panto. We’ve been to one every year for as long as I can remember. It was one of the things I looked forward to most about Christmas when I was growing up, as all of my cousins got together for it. Now that we are all grown up we still go, lots of us with kids of our own, but even those without still come along. It always makes for a lovely family night out. So even though had our usual panto booked in for after Christmas, we still gratefully accepted the offer to attend the press night at Whitley Bay Playhouse. I had previously heard that it was a good venue for pre-schoolers, and as it starts at 4:30pm on a weekend it is more toddler friendly than others I’ve been to. Our gang was made up of me, Caroline aged 33 ½, my mum otherwise known as Granny, my two nephews aged 12 and 11, and my little boy 3, and little girl who is about to be 2. 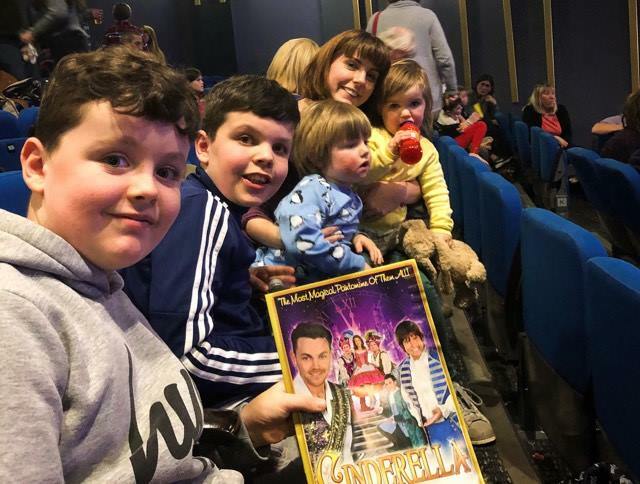 We were all really excited to be seeing Cinderella, and I even tried to do a bit of practice of ‘It’s behind you’ and ‘Oh no it isn’t, oh yes it is’ in the car on our way to Whitley Bay. Cinderella is a real ensemble piece, the posters advertised Ray Quinn (from Brookside, X Factor, Dancing on Ice fame) as their lead, alongside Steve Walls who would be playing Cinder’s best mate Buttons. 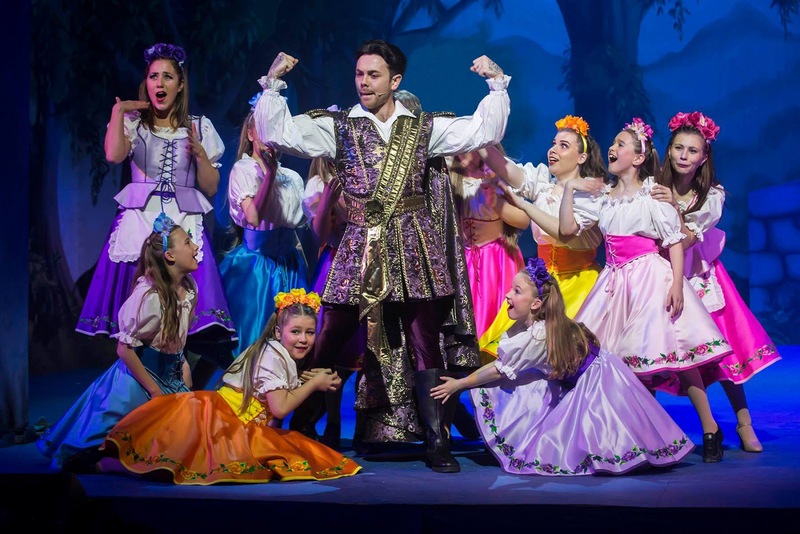 As it was our first time at Whitley Bay panto we hadn’t heard of Steve Walls, but it was clear from the moment he stepped on stage, and the audience’s cheers, that he was somewhat of a legend at the Playhouse. I tend to think that the actual story doesn’t matter too much with panto, as we are all there for the laughs and silliness, but I do think that Cinderella is probably the best one, mainly for the two ugly sisters. I am pleased to report that they did not disappoint. We loved the two ‘mingers’, who were responsible for some of the most standout scenes. They were hilarious and stole the show with their outfits and lines. 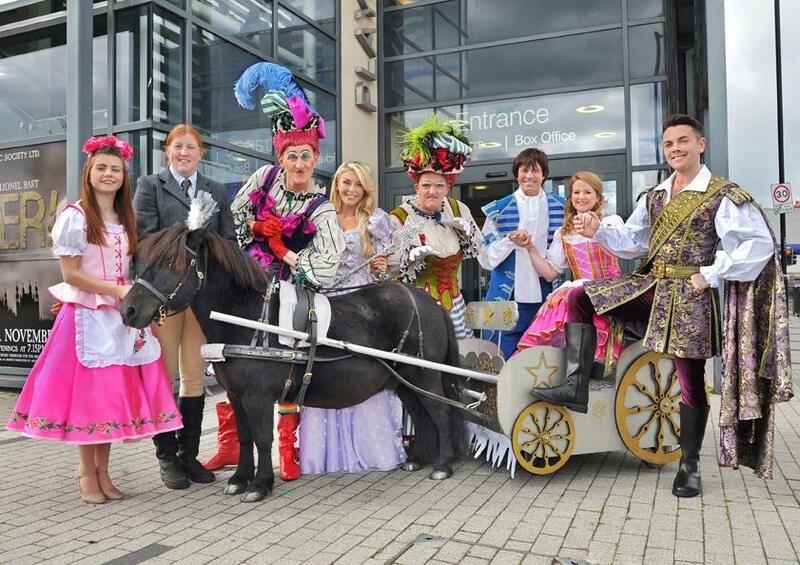 Pantomimes are meant to be funny, and Cinderella at the Playhouse lived up to expectations. It didn’t take itself seriously at all, and even some of the more traditionally serious characters were given funny roles. In some of the pantos I’ve seen the male romantic lead can fade into the background a bit, but in this panto Prince Charming’s huge ego meant he got his fair share of laughs from us too. There were of course, the odd joke meant just for the grown ups in the audience which went down very well. Only one didn’t hit the mark for me. 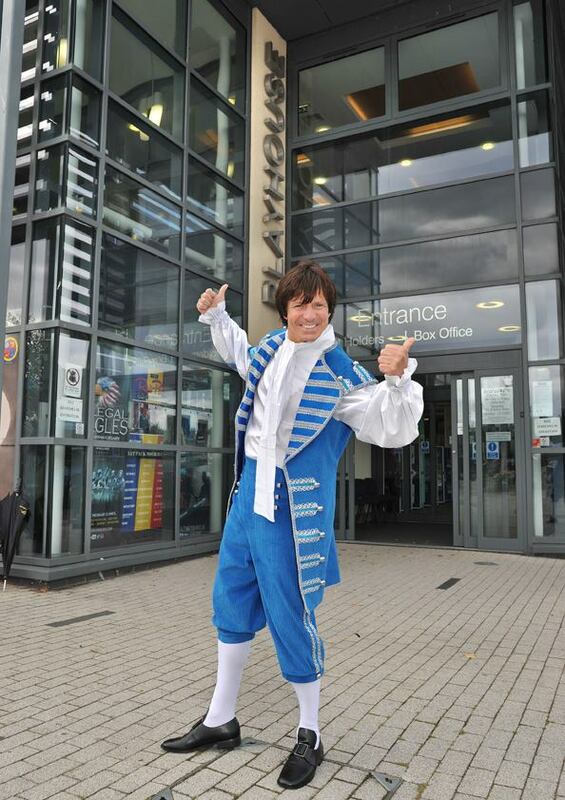 Steve Walls is a panto legend, but getting on a bit. Jokes about the much older Buttons checking out Cinder’s bum when she was picking up apples felt a bit out of sync with current affairs, but it was just one joke, and I have got a bit of reputation for a politically correct kill-joy so it could have just been me who wasn’t feeling that bit. The first half of the panto focussed mainly on the story, introducing us to the characters and some musical numbers. Most of the second half was made up with different audience participation scenes where we got to practice how loud we could shout. This worked perfectly for our family. I was surprised to see that my almost 2 year old was enthralled the whole time she was happy to sit and watch it all without getting bored, but my three year old was showing signs of restlessness towards the end of the first half and I’d been a little bit worried about how he would cope with the second. Thankfully as the second was full of shouting and energy so my little boy was laughing so much he was happy to sit in his chair. Without wanting to spoil too many surprises I can say that if you are going you are in for a real treat with some brilliant stand out scenes. We laughed so hard when the ugly sisters ran into the audience, the kind of laughing when you are kind of terrified they will stop near you! Their cookery demonstration ended in exactly the way you would expect, and resulted in the first section of the audience getting wet. I’d been told that I’d love the ‘Ghostbusters’ scene and we definitely did. This was panto at it’s best, filled with laughs and wondering just how loud we could shout ‘he’s behind you’ before we collapsed. Cinderella’s getting ready for the ball was pretty spectacular too, and resulted in a few gasps as the stage was transformed before our eyes. This panto was one of the best I’ve been to for music. The songs were all really current, and I spotted my two nephews singing along to some. 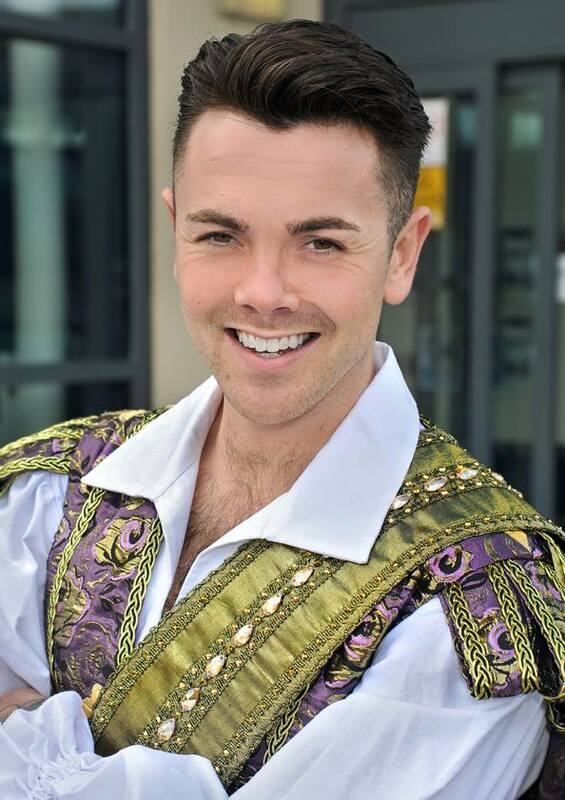 Ray Quinn is a brilliant singer and great performer so really delivered, and one of my favourite bits was the sing-a-long at the end of the panto when the audience was encouraged to get up and have a dance. It was a really lovely way to end it. I’m still waiting for a panto to give the leading female character a really good part. Cinderella could sing, was very kind and forgiving, but we didn’t see her in any of the funny parts. One of the villagers joined the Buttons, Prince Charming and Dandini in one of the best slapstick scenes. I would have loved to see Cinderella part of a comedy sketch like that one, or just being given some more sassy lines. That certainly isn’t a critique of Whitely Bay’s show though, as it’s the same in pantos up and down the country. I think we are ready for some local shows to start taking risks with that though and start making the lead female character role a bit meatier. The Playhouse as a venue is great for pantos. The stage seems so close to the audience. We were in row M which were brilliant seats. We were able to see everything so well. I would also like to extend a personalised thank you to whoever designed the seating rows. Having two toddlers I had to make a couple of toilet stops in the interval and during the show. The seats are so comfortable and there is enough room between rows that you can get by other people’s seats without them needing to stand up or even move too much. Perfect for anyone with small kids. One big thing to note is that large bags and any backpacks aren’t allowed in, so leave them at home if you are heading to Cinderella. Granny owns a sweet shop, so did come laden with treats for us. I’m not sure what the official line is about taking your own food and drink in is, but the door staff were very accommodating and knew she was taking in sweets but didn’t stop us. The drinks and sweets on sale at the bar were standard theatre or cinema prices, so certainly not cheap, but there in case you needed them. We had walked to the playhouse having parked at my sister’s house, but there is a small car park attached to the playhouse and quite a bit of on street parking around. Most are paid for though, so don’t forget to bring some change. Prices for most of the showings are £16-24 , but on Saturday 9th and Sunday 10th December all tickets for the 1pm shows are £15 which is an absolute bargain for such a brilliant show. Everyone attending needs a ticket, even toddlers. Performances are on most days until Sunday 7th January. Thanks Caroline! Sounds like we missed a fantastic night. 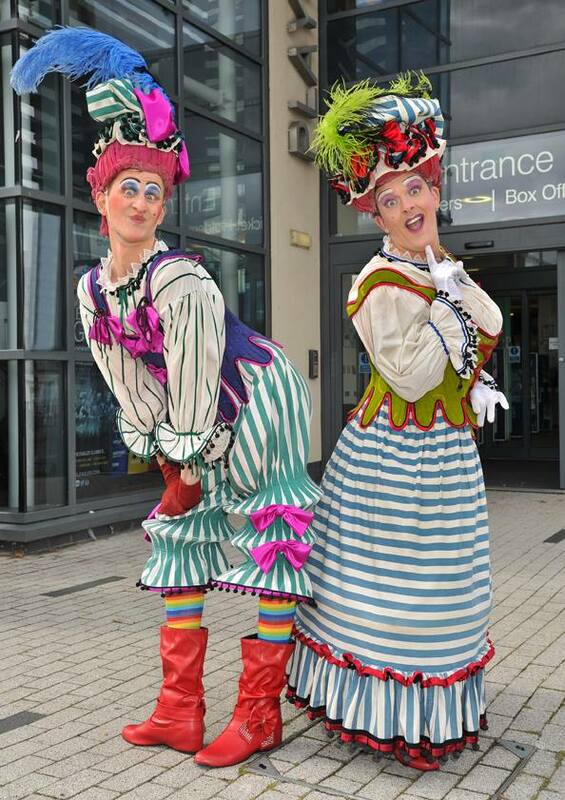 Cinderella continues at Whitley Bay Playouse until 7 January. I will pass this wonderful review to my parents and see if they want to continue the tradition of grandparents taking children to the panto at Christmas; it sounds like a brilliant show.